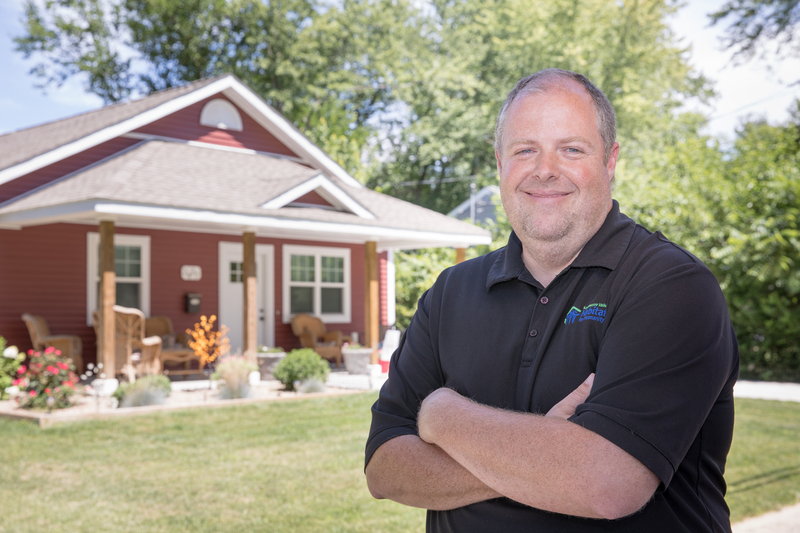 Kalamazoo Valley Habitat for Humanity Director of Construction Operations Tom Tishler won the 2017 Governor’s Energy Excellence Award for Best Residential Project. Tishler was nominated by Consumers Energy for Habitat’s first Zero Energy Ready Home on Glendale Boulevard.Governor Snyder presented Tishler with the award. “Part of Habitat for Humanity’s mission is building high-performance homes with a focus on lowering the cost of ownership for the families who live in them. Tom Tishler, however, raised the bar when he constructed a high-performance Habitat for Humanity home in Kalamazoo, where yearly energy costs are expected to be less than $800, saving more than $20,000 over the lifetime of the mortgage,” the post reads. Habitat accomplished this, in part, by applying green building practices to design and build the modest 1,100 square foot, 3 bedroom home, the third Zero Energy Ready Home® (ZERH) built in Michigan. A Zero Energy Ready Home® is built to U.S. Department of Energy high performance standards. The home is built to be ready, with the installation of a small renewable energy system like solar panels, to offset all or most of its annual energy consumption. Habitat installed high-efficiency appliances, a state-of-the-art HVAC system, 100 percent LED lighting, high-quality insulation, and energy-efficient windows. The home also protects the health of its occupants by employing moisture management and air quality measures that meet the highest industry standards. Eight individuals and organizations from across Michigan were recognized for their outstanding efforts to reduce energy waste. Two more Kalamazoo area firms also won awards and two others were recognized. Better World Builders, LLC., Kalamazoo, won as Builder of the Year and Hollander Development, Portage, won Best Commercial Project honors. Kalamazoo Institute of Arts was a finalist for Best Public Project and Nash Greenhouses, LLC., received honorable mention for best Agriculture Project.